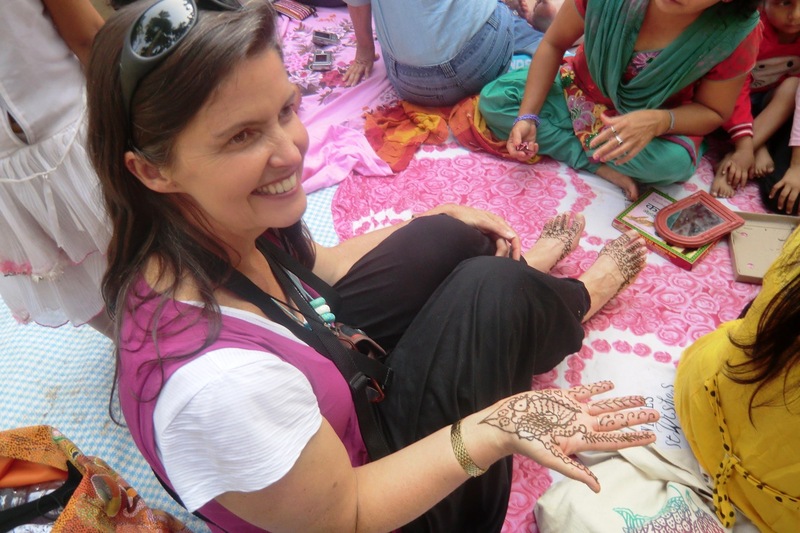 Spending time with the ladies of Samunnat Nepal is part of The Colourful Journey run by Bishnu Rai of Himalayan Sunrise and our very own Wendy didi (Wendy Moore) every November/ December. This small group tour (8 – 10 people) suits adaptable and open people who are willing to put up with changes of plan and occasional discomfort to enjoy different aspects of the real Nepal. Perhaps you are someone who would not normally contemplate a group tour? Nearly everyone who does this trip says that. We have a shared experience rather than a heavily guided one! On the surface, it’s a handicraft journey in eastern Nepal, but really it’s a liberating immersion into a vibrant and colourful culture and a magnificent landscape. You’ll see exquisite handicrafts being made, meet the talented creators in their own environments and explore some of our favourite sources of inspiration and supplies. You will go beyond your version of familiar and experience a sense of connection, joy and good old fashioned nurturing. Past travellers have had a wonderful time and would be hapy to share their thoughts with those contemplating this trip. Read more about the trip here and contact Wendy or Bishnu for more information about our next departure.